It is Sunday & I baked Blueberry muffins for breakfast. Usually Sundays we have pancakes for breakfast. Since tamil month Puratassi has started I wanted to make some thing egg less and I haven't experimented with egg less pancakes yet, so chose to bake Blueberry Muffins. It came out fabulous and my family liked it so much. 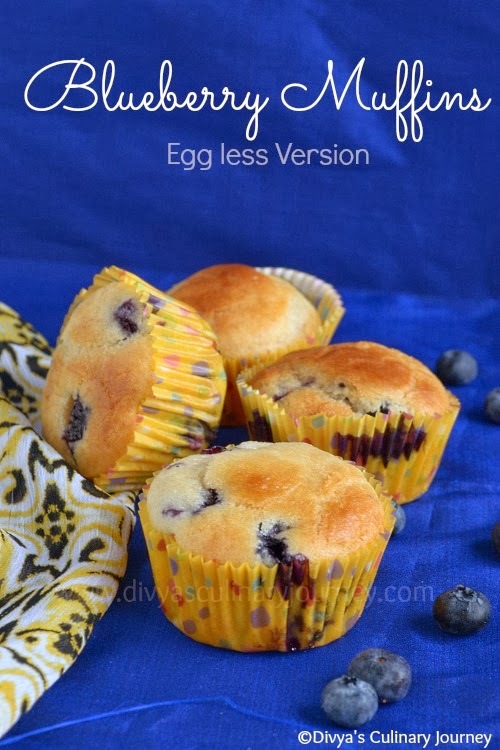 Today I am posting the recipe for Blueberry muffins that are egg-less. 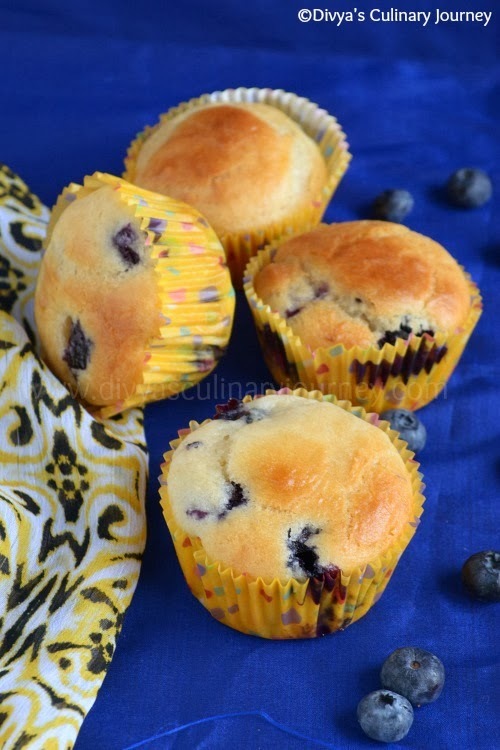 I have already posted Blueberry muffins (with egg) & Quinoa Blueberry muffins. In another bowl, mix yogurt and sugar well, then add oil and mix well and then add vanilla extract and mix well. Wash and pat dry the blueberries. Then coat them with a tablespoon of flour and add them to the batter and mix well. Here I have used 1/2 cup of yogurt and 1/2 cup of milk. Instead you can use one cup of yogurt too. Baking time varies with oven check yours accordingly. 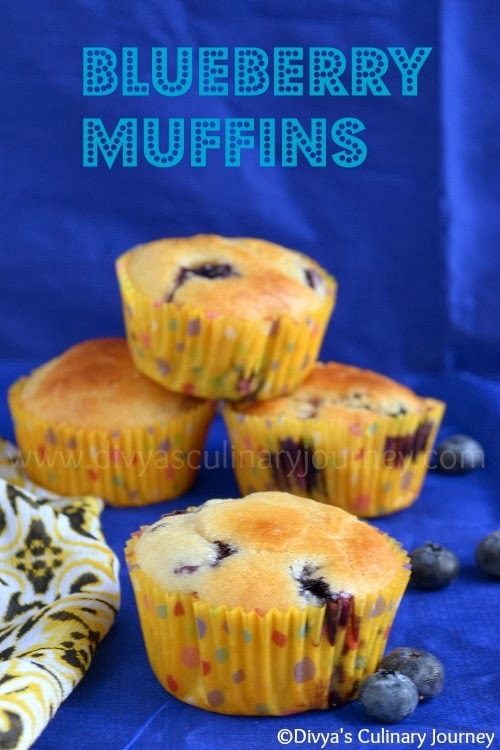 Looks yum.. One of my fav fruit & muffins ! Love these muffins. I do make them when blueberries are in season! Perfectly baked muffins.. Very tempting dear..
Looks great, tempting, nice click. Muffins looks so yummy and inviting. Very tempting clicks, perfectly baked..
Nowadays even i want to bake only muffins.. love the perfectly baked muffins..
Lovely delicious muffins, beautiful clicks ! ! ! Delicious muffisn n nice paper liner..